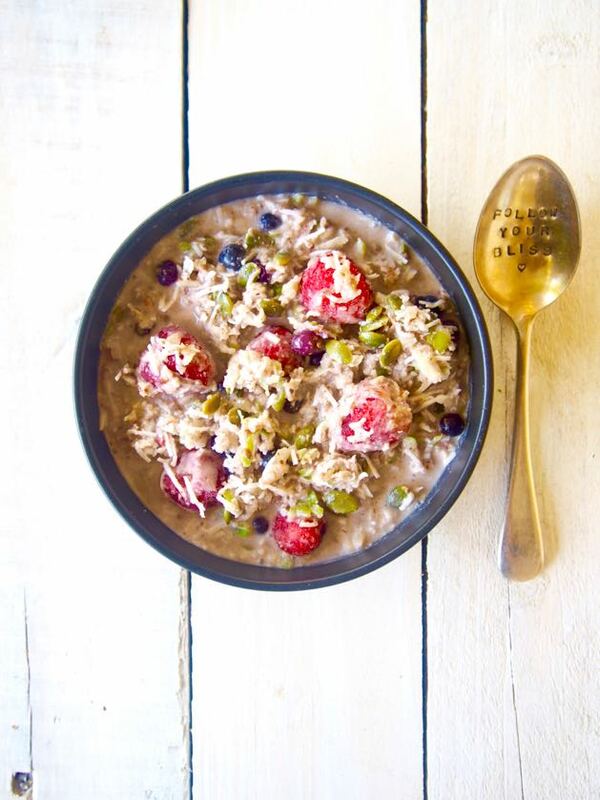 Paleo Apple Berry Bircher Muesli | Quick Healthy Breakfast. You thought muesli was out of the picture? Nope…. wrong, not here in Merrymaker Land anyway! Chuck the oats and use our totally quick and easy mix together recipe instead! This is busy weekday recipe approved! This recipe features in our next Make Life Merry Challenge. We start 11 January… which is kinda perfect timing to make a start on those new year goals! It’s 4 weeks to a healthier, happier you! 4 weeks where we’ll all hang out in a private Facebook group (this was the most loved part from last time Make Life Merrymakers! 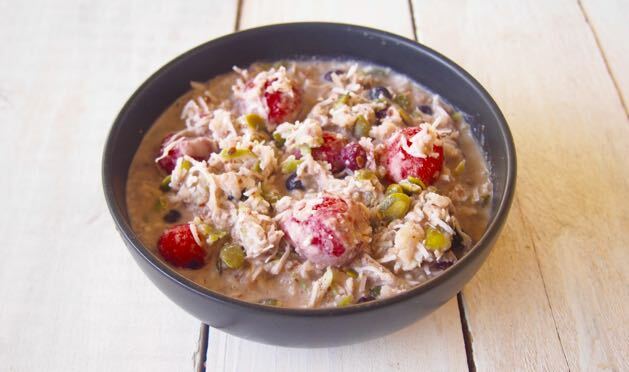 ), listen to weekly webinars from our panel of experts and of course eat delicious food like Apple Berry Bircher Muesli! It’s gonna be a heap of fun and will get us all back on track for the best 2016 imaginable. Make Life Merry includes an amazing guide with a nutritionist-approved 2 week meal plan designed to show you exactly how to take action, step-by-step, day-by-day! As well as 30 never before seen recipes (except for this one!) and lunchbox/left over ideas! For the last 2 weeks we’ll all design our own meal plans together. We’ll host a bonus webinar where we’ll talk you through exactly how we do ours! PLUS this round we’ve included weekly workouts that require ZERO equipment. Yep, they can be done in your backyard or lounge room (our kinda style of workouts!). In the group we’ll share ideas, wins plus keep each other motivated and on track. We are so ready. We’d love to welcome you in to the group! Grab all the information here and enjoy this recipe in the mean time! 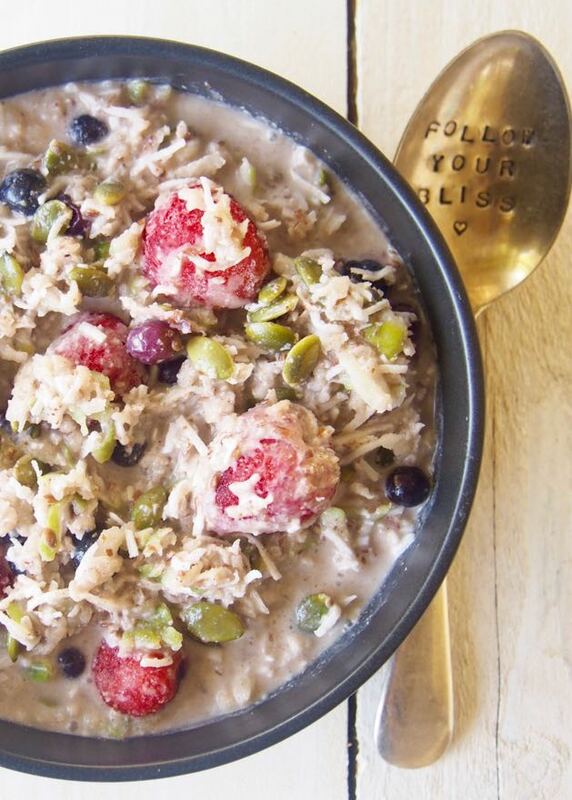 Here’s the delicious Apple Berry Bircher Muesli recipe! Enjoy! YUM! This recipe featured in our Make Life Merry Challenge! It’s 4 weeks to a healthier, happier YOU! With a 2 week nutritionist-approved meal plan, 30 never before seen recipes, weekly workouts, expert webinars and a community to keep you accountable! Sound good? Next round starts soon! Join us HERE! In a bowl combine all the ingredients and place into the fridge overnight. If you're short on time or a little unorganised feel free to leave in the fridge for at least 10 minutes. If you make the bircher the night before, you just might need to add a little extra milk in the morning.